1. Post a pic on Instagram. 2. 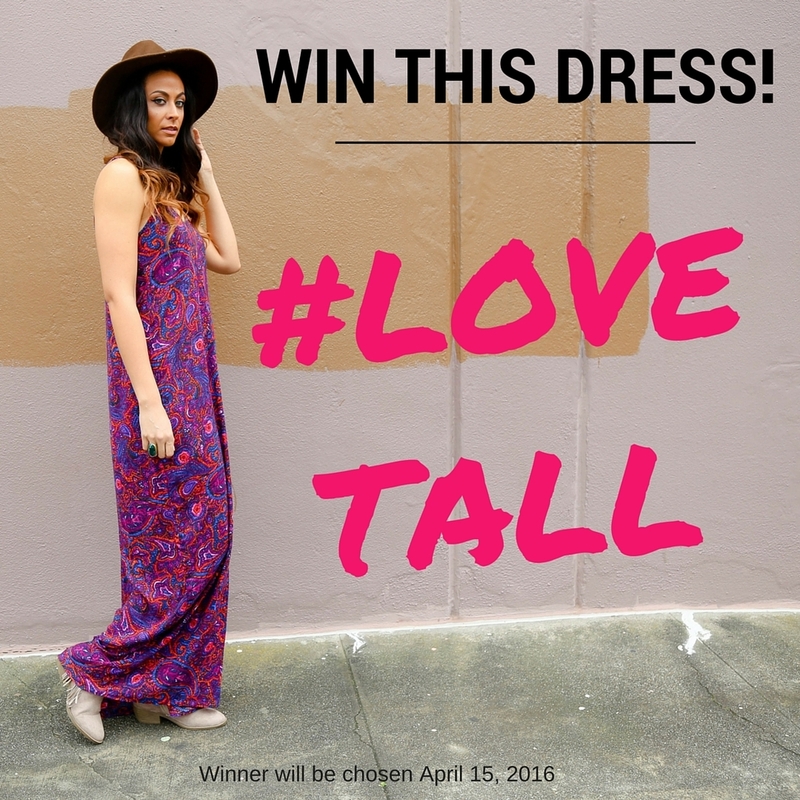 Tag and follow @TallSWAG and @HeightGoddess in the post as well as use the #LoveTall. Tell us why you love your height...we can't wait to hear why! 3. After you post, fill out the form HERE. It's simple and spoiler alert!...there is also an awesome coupon code at the end of the contest that is good through April 19th, so regardless you get something for entering! One thing...HURRY! The winner will be chosen on April 15th so it doesn't give you much time. Enter now! Can't you just see this beauty in your closet?